Is Skaill House a Historic Scotland, National Trust for Scotland, HHA or ASVA property? Skaill House entrance is free for HHA, ASVA and Historic Scotland members, but not National Trust for Scotland. Is the House owned by Historic Scotland? Skaill House remains privately owned by Major Malcolm Macrae, but there is a joint admission agreement in place with Historic Scotland. 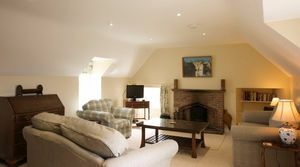 The main house is no longer lived in, but has two self-catering holiday apartments available to let. Is photography permitted at Skaill House? Photographyis permitted for non-commercial and personal use. Photo shoots must be arranged in advance through the manager info@skaillhouse.co.uk. How long will a visit to the house take? We recommend between 45 minutes and an hour and a half to fully appreciate everything the house has to offer. For a combined visit to both Skara Brae and the house, please allow between an hour and two hours. ReadmoreFind out more about the history of Skaill House.